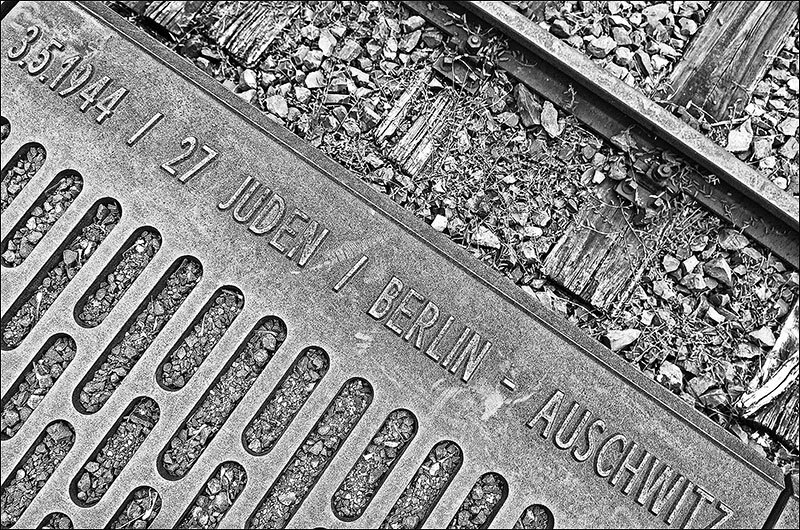 At this location in Berlin prisoners were boarded on to trains and sent to various war camps within Germany. As a memorial, the number of prisoners despatched on which day and their destination are recorded side by side along the edge of the platform. During my visit to the platform it was raining, which added to the miserable atmosphere of the site.